I haven’t posted since February, so I wanted to give you a quick update. The number 33 is still a daily part of my life. Pretty much nothing has changed, I see it everywhere. 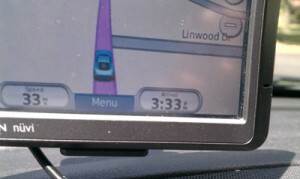 What is interesting is my sister and friend have now told me that they are experiencing this 33 phenomenon. They both are seeing it several times a day they tell me. One of them, I think, believes it is the confirmation bias at work, however the other believes it is something more. It is very interesting to see this happen to them, especially because they both didn’t quite believe me that I was seeing the number 33 as often as I was. I will post more about their experiences soon. Also, I’m reading about a connection to the number 33 and Shakespeare. I will be sure to let you guys know more about this too!